The Disney universe has a new gathering place on the Web. Disney Interactive, Hollywood Records, Radio Disney and Vevo are joining forces to launch a “premier family-friendly” music portal on Disney.com and across Vevo's digital platforms. Billboard can exclusively reveal details of the interactive portal atDisney.com/music, which will gather Disney-curated clips from Vevo’s catalog of 50,000 music videos and exclusive content from Walt Disney Records, Radio Disney and Hollywood Records. 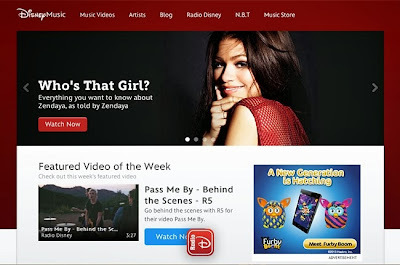 The portal will, naturally, carry Radio Disney and it’ll offer behind-the-scenes footage, interviews and webisodes from such hit Hollywood Records artists as Selena Gomez, R5 and Zendaya. Music videos will appear directly to the portal featuring Vevo’s top pop artists like Taylor Swift, Katy Perry, Ariana Grande and One Direction. The team behind the rebooted digital service describe it as the “definitive music site for families, kids and tweens.” In time, the portal will offer music-focused original programming, coverage of exclusive events and premieres and "live music experiences." The partnership with VEVO and Disney Interactive was unveiled early this year.